Can’t say enough about how wonderful our experience was with this company. They were prompt, polite, knowledgeable, quick, friendly, and professional. And their price was very reasonable. These young men were so courteous and so thorough. They were quick and cleaned up after themselves. They were prompt knowledgeable. We could not have asked for a better experience. And the price was very reasonable. Windows are so clean, they look invisible! Prompt and courteous service, these guys always do a great job !! Great service, nice guys, very professional and careful! This is a top notch company from their office to the guys who do the work. Window Doctors arrived as promised and did an excellent job cleaning the glass on our sunroom. Since we “live” mostly in this room and depend on cLean glass for an unobstructed view of the wildlife in our yard, the condition of the glass is extremely important to us. 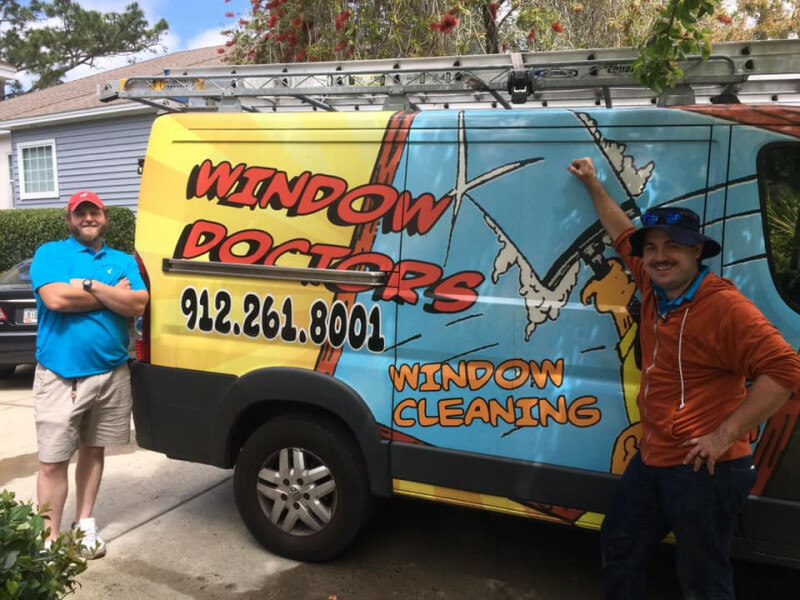 We will certainly use Window Doctors again and regularly. Very satisfied with promptness and thoroughness. We couldn't find a single streak or smudge on any of our windows or trim. They look better than new! Windows look great...crystal clear inside & out!